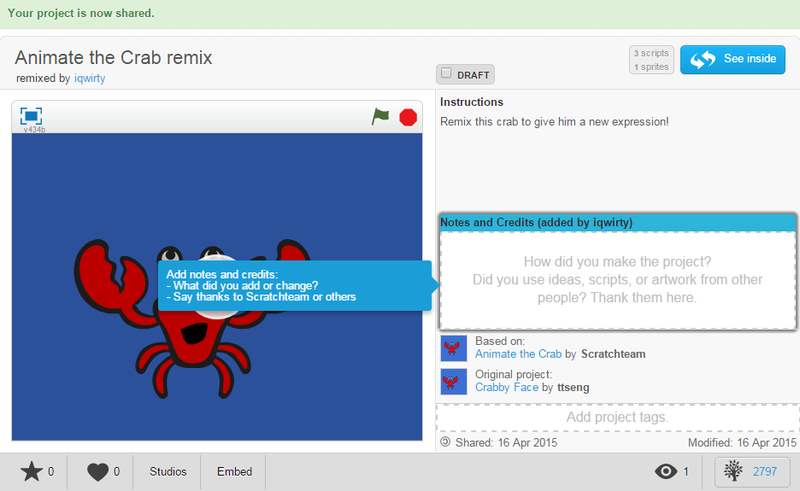 One of the nice things about learning programming using Scratch is that they make it super-easy to share your projects and build new projects based on something someone else has done. 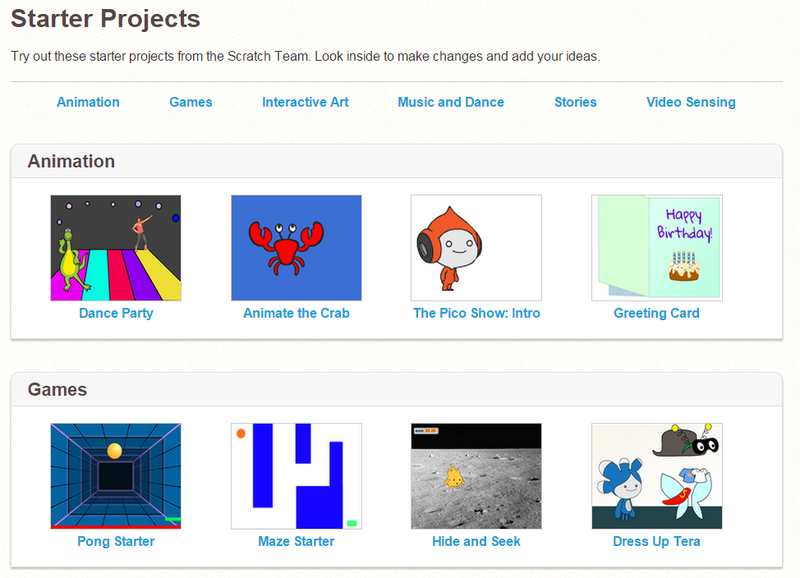 Create your own Scratch studio that has all the projects you’ve worked on (for easy sharing!). So, What Do You Want to Share and Remix? Take a look at the Scratch Help page. On the Help page, click the link for Try out the step-by-step intro, which leads you through a starter lesson. Click the link for Starter Projects, which takes you to a whole bunch of easy projects and exercises that you can try to remix. 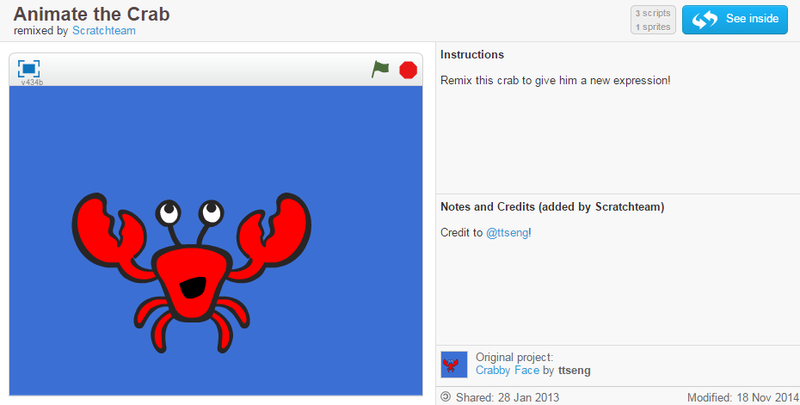 Now you have your own project based on the original “Animate the Crab” and you can change it however you’d like!